This is the new model of 303 Single Fin Collection for 2018. Just like “Aiiro ( Japanese indigo blue)” that have so many different names and shades, this model have so many different aspects. This model was designed to keep 70’s feeling, that “ short board = single fin”. This modern retro shape is not like modern board designs that turn, float & run without even trying. You will find the way to flow the wave, notice the importance of rail & tail control & learn to pivot turn with this board. Kohei shaped this model for himself in 2014 and rode it when he was bored, or wanted to feel something new & fresh. Also, it has been a part of his surf trip quiver ever since. Aiiro is updated & this version have few improved features that will satisfy your curiosity. 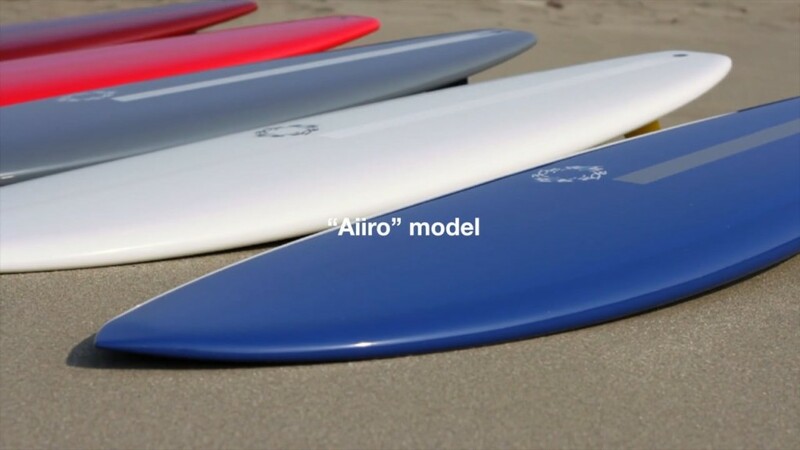 Surfboards：Aiiro 5'7", 5'9", 5'11", 61", 6'3"